And welcome to the second homeworld of Spyro the Dragon. Here you will find several new levels, as well as many new people to see, places to meet, dragons to collect and gems to free. From where you land, head straight forwards to free the dragon stuck in crystal. Location - Straight forwards from the entrance to the Peace Keepers homeworld. From here, head to the right and follow the room out to the right. You should now be right at the entrance to the main part of this homeworld. The cannons you see can both be fired by you, and the Gnorcs wearing a large black hat. They will aim it at you and fire, while it easy to avoid the incoming cannonball, it can sometimes be more difficult to actually kill the Gnorc as it spins the cannon around as you attempt to get to it. Jump round it and flame and you should be able to get it quite quickly. To actually fire the cannon yourself, walk up to the end of it and the camera should move so that it shows where the cannon is pointing. Also, when you move towards the cannon, this pushes it and will turn in the direction you push. And finally to fire it, simply flame the end of it. The cannonball will auto-target anything in its line of sight so there is no need to adjust for altitude. There are also a few soldiers around here who will either hang around to attack you, or, most likely, run away and hide in their tents. Flame the tent to get at them. When you get to the area with the Dr Shemp portal, use the cannon there to smash the unbreakable chests and the large rock with a red 'target' on. Just past here, you will find a small enclosed area with a Dragon and a thief in. The best way to catch the thief is by jumping over the water at him. You will also find a key here too. Location - Down by a small pond where the egg thief lives. To use the key, jump up onto a sort of bridge thing that heads towards the start of the level, then right at the end of it, jump off to the left and into an archway in the wall of the rock. In here you'll find the locked chest. And that should be 200/200 Gems collected. Time to move on to one of the levels in this homeworld. First is Dry Canyon. The entrance to this level is situated near the beginning of the world, just near to the place where the two Gnorcs fight each other with cannons. Around here are several new Gnorcs. These are yellow, carry a metal shield and have a gun. The bullets they fire can be charged without hurt to you, you'll just rebound as if you hit a wall. Just charge the Gnorcs down as well. In the area to the left of where you start, is a thief. Chase him down around and around until you catch him for his egg. Location - Near the start of the level, just before a river. Further past here are some vultures along with their master, a huge yellow gnorc who also holds an extra Vulture which he uses as a thing to hit you with. As usual with these large Gnorcs, you can only flame them. Location - Up the top of a set of stairs and on a slightly raised platform. From where you find Boris, head up to the top of the slope, and glide off to the left and land in the middle of a large archway in the rock. Go through here until you get to a ledge to nowhere. Jump off the left edge of it and around the corner, hugging the wall as you go. Wander up the slope here, collect the key and free the dragon. Location - Right next to the key. Now you have the key, head back to where you freed Boris and instead of gliding to the left, go to the right and land on another place. Follow the tunnel through till you get out into an area with plenty of vultures in. Jump on top of this castle thing, and head to the left and over to the fireworks in a box. Flame them and stand well back. After the second one, glide off towards the locked chest in the distance. You should easily make it. This should be the last load of gems to collect in this level. The portal here is just in the middle of the main area of the Peace Keepers' homeworld. Directly in front of where you start, is another new Gnorc. This time it's orange, wears a sombrero and has a metal poncho. He will attack you if you stay in front of him for too long, but just charge him and he's dead. A little further on, you'll see another one of these, but this time a large orange Gnorc dressed in a large red dress, will hit it and send it charging at you. Charge it as usual, and flame the large Gnorc. Also, flame the pot it's standing next to, as a gem will fly out of it. Location - Over the bridge and to the left. Nearby, there is a thief. He will run around one building only and it's best to run after him in a clockwise direction. He shouldn't be too much of a challenge if you cut the corners of where he veers out to the left. Head up the platforms at the end of the level, working your way up by defeating all the large Gnorcs, remember to flame the pots to get a gem. Location - Right at the top of the set of bridges and platforms, just past two large Gnorcs. Before you do what he says to do, glide down to a building in the area you just came out of, it has a red rocket on its' roof which, when flamed, will fly off and burst open the unbreakable chest. Jump over to another building nearby to collect some more gems, then jump back to get the gems on the lower level on your current building. Head back to where you freed the last dragon, and do what he said to do. Glide there and find out. While it can sometimes be tricky to make it, you need to glide right at the top of your jump and make sure to head towards the middle of the other side of the river. Over here you will find lots of vultures and gems. Location - At the highest point in Cliff Town. Jump down to the buildings on the right and collect those gems, then head back up to where the dragon was. Head all the along the top here until you reach where there is a barrier. Go right to the edge and glide down to the building where you started, making sure to land behind where you could previously have got to. These should be the last gems of the level. With 25% of the game completed now (if you've done everything possible so far, that is: 2000 Gems, 26 Dragons and 5 Dragon Eggs) this is the quarter of the way point. The entrance to Ice Cavern is located right next to the balloonist, just down a slope. Almost as soon as you get started in the level, you'll spot a very large, purple Gnorc standing around flexing his muscles. Nothing special about him, so do the usual flaming of large Gnorcs. You will then shortly come across another variation of the small Gnorc. This time it's green and throws snowballs at you. The usual flaming or charging still applys here. Oh, and you should also note that like the ones in Dry Canyon, when you charge into the snowballs, they don't hurt you. It also doesn't make you rebound as the ones in Dry Canyon did. There a few bats around here, on the roof, they are the butteryfly givers of the level and need to be scared down so that you can kill 'em. Near this dragon, you'll see some poles with red gems on the top. Charge into the bases of these poles to knock off the gems on top. Further on, and you'll meet some of those Gnorcs that Todor mentioned. Completely covered in metal armour and very big, so they can neither be charged or flamed. Seems a perfect Gnorc? Well that would be true if it wasn't for the fact that they're standing so close to the edge and they're standing on ice. So, simply charge into them a few times to knock 'em off. Their gems will fly straight back up to you. Now, head all the way back to the place where the locked chest was, and jump off to the left in order to land on a small platform just off the edge of the main path. Here you should find the key for the locked chest, so jump down to the main path (about exactly where you were before) and head back to the chest again. Collect the gems and jump off to the left again in order to continue with your journey around the level. Near here, are some small castle rampart thingies with gems on, one by one follow them along by jumping on each one all the way to an opening at the end where you'll find more of those large Gnorcs with armour on. That's all the essential stuff out of this level now, but for three extra lives, head all the way back to the start of the level and jump round to the right off where there is a small jutting out bit. Go round the corner and land on a platform with three lives on, then jump down to the room below and move on to the Return Home vortex. The last level before this world's boss. Similar in style to Sunny Flight, Night Flight is a timed flying game which requires you to collect specified targets within a short period of time. To get to the portal, go up to where you blasted apart a large rock, and go to the right, where you'll find both a Gnorc and the portal here. First, get all the rings, simple flying to get these. Then flame the chests as you go past them. Then, go through all of the archways, ignoring the lighthouses. Once you've got them all, flame the lighthouses in the order you go past them. While not entirely easy, it isn't too difficult if you know what you're doing. The final level of the Peace Keepers. Dr. Shemp is located almost directly infront of where you land after Night Flight. Here you'll find those big red Gnorcs from Cliff Town again, along with some little friends. No cookingpots though. All the little ones will charge at you, and if you dodge out of their way, they'll jump off the edge leaving their gem behind. You'll need to go collect these. Due to the metal armour, they can't be flamed. Walk past the first whirlwind, and head behind the tower nearby, then ascend in that one's whirlwind. Jump off to the left to grab a large gem, then once grabbed, glide off back to the left, landing on a small platform with a key on. Then head up in the second whirlwind and glide off forwards to land on another platform near a large red Gnorc. Head into the tunnel to pick up some more gems. Then head all the way back and go up the first whirlwind to get to where the boss lives. He surely should. Jump onto the small jutting out bit just below the main platform which Dr. Shemp is standing on and jump up onto it, then back down. This should entice the good doctor to attempt to attack you. When he turns around and heads back, flame him. He will then move along to another platform just over a bridge. Entice him again, but this time you'll have to get a bit closer, and stay there too. As he spins round, flame his back and dodge his stick. Again he will move along. And for the last time, make him mad and he'll once again spin, this time dragging the stik along the ground, jump over it and flame his back for the last time. Just past the Return Home vortex is a locked chest for you to use your key on. Once you've got all the gems here, leave and head towards Gosnold the Balloonist in the homeworld. We're off to the Magic Crafters now! You go to the top of the end building(next to the dragon)then you glide across! Thanks a bunch!But,they fight with the Gnorcs!How are they supposed to make peace if they fight? that is the guide to world two. this place reminds me of the wars in B.C. How do you get across the purple lake thing? i hate the ice cavern's enemy's there so cheap.love dry canyon though one time i exploded a chest and the metal fell down and hit a theif and he dropped the egg.and to this day i can't do it again. 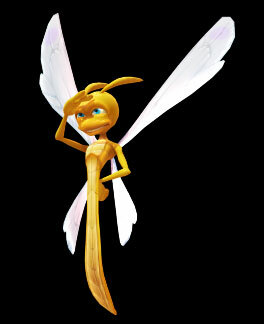 Sparx i think you mean Ice Cavern. Cliff Town has superior muzik! My fav level in this world is probably Ice Cavern cuz it has easy baddies 2 defeat and it has snow! Oh, and you should also note that like the ones in DRY CANYON, when you charge into the snowballs, they don't hurt you. It also doesn't make you rebound as the ones in DRY CANYON did. i love ice cavern !!! !